Get the knowledge and practical skills you need to succeed as a professional dog groomer with QC’s online dog grooming courses. Complete your training from home with practical and theoretical assignments, while receiving guidance from certified master groomers every step of the way. Graduate with a certificate of completion and begin a rewarding career as a professional dog groomer. 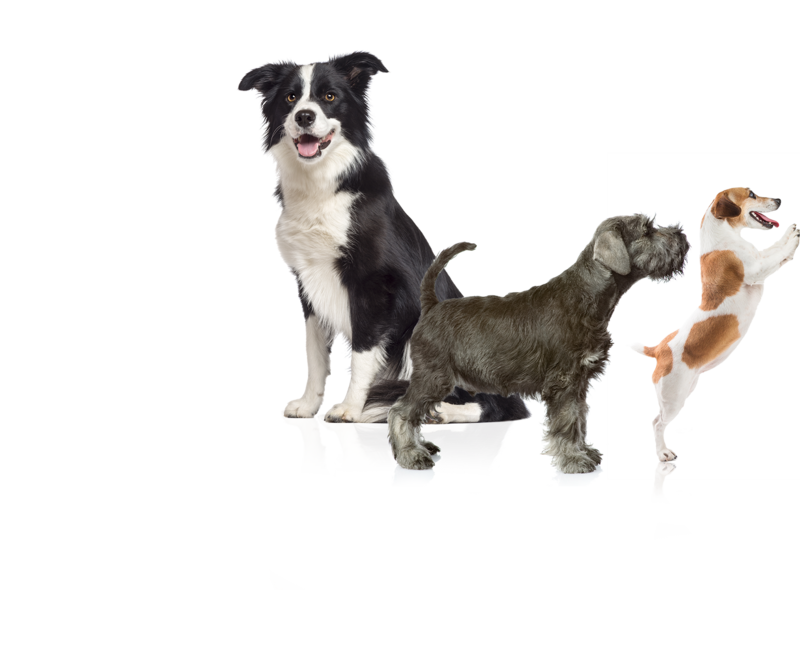 Try the Dog Grooming course risk-free for 21 days. This course will pay for itself within one year, that’s a promise. You’ll learn to safely and expertly groom dogs from start to finish thanks to detailed course texts and video tutorials. Get training on everything from dog grooming fundamentals like bathing, brushing and drying to specialized breed cuts and finishing touches. 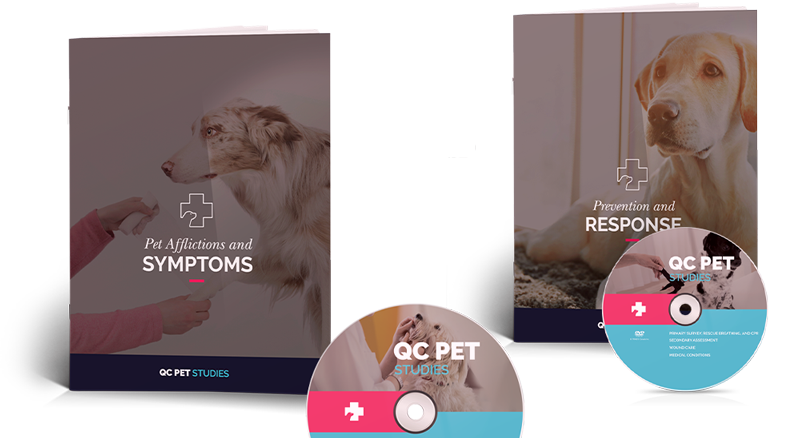 These books and DVDs are so useful you’ll keep referring back to them throughout your dog grooming career! As part of the dog grooming course materials you’ll also receive the WAHL ARCO 5-in-1 Cordless Clipper AND stainless steel attachment guide combo kit. These professional grade tools have a $200 value! Being trained in Pet First Aid prepares you to respond to emergencies and to maintain a safe grooming environment. In this course you’ll learn from dog first aid experts who will teach you what you need to know to keep yourself and your furry clients out of harm’s way, and how to deal with emergency situations if they arise. With your enrollment in the online dog grooming course, you’ll receive four pairs of professional grooming scissors that enable you to create a variety of looks. Product may vary based on the supplier. You’ll also receive a toolkit with the essential items you need to get started as a dog groomer, including professional-grade brushes, combs, coat tools and nail clippers. You’ll receive feedback and guidance from the best in the industry! QC tutors, Lisa Day and Paddy Gaffney, have a combined 57 years of experience in the dog grooming industry. Get online access to your course right away. Receive your books, DVDs and dog grooming tools in 7-10 days. Use your computer, phone or tablet to upload your course work to QC’s Online Student Center. Get audio feedback from your tutor, a professional dog groomer, after each unit you submit. Complete your course, receive your certificate of completion and begin your career as a professional dog groomer. Learn how you can’t go wrong with QC’s money back guarantee! Interested in starting a career as a professional dog groomer? QC’s online dog grooming course can help you get there! Click below to learn more about the online course, pick a payment plan that will fit your budget, and enroll when you’re ready! Customize your own payment plan to align with your goals, budget and lifestyle. Begin training for a career where you get to work with your favorite furry friends.